In a newly published study, engineers from Monash University detail a new strategy to engineer graphene-based supercapacitors, making them viable for widespread use in renewable energy storage, portable electronics and electric vehicles. Monash University researchers have brought next generation energy storage closer with an engineering first – a graphene-based device that is compact, yet lasts as long as a conventional battery. Published today in Science, a research team led by Professor Dan Li of the Department of Materials Engineering has developed a completely new strategy to engineer graphene-based supercapacitors (SC), making them viable for widespread use in renewable energy storage, portable electronics and electric vehicles. SCs are generally made of highly porous carbon impregnated with a liquid electrolyte to transport the electrical charge. Known for their almost indefinite lifespan and the ability to re-charge in seconds, the drawback of existing SCs is their low energy-storage-to-volume ratio – known as energy density. Low energy density of five to eight Watt-hours per liter, means SCs are unfeasibly large or must be re-charged frequently. Professor Li’s team has created an SC with energy density of 60 Watt-hours per liter – comparable to lead-acid batteries and around 12 times higher than commercially available SCs. “It has long been a challenge to make SCs smaller, lighter and compact to meet the increasingly demanding needs of many commercial uses,” Professor Li said. 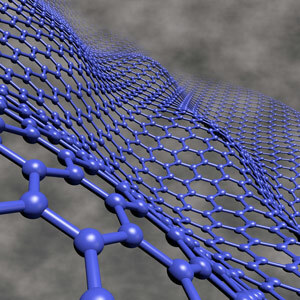 Graphene, which is formed when graphite is broken down into layers one atom thick, is very strong, chemically stable and an excellent conductor of electricity. To make their uniquely compact electrode, Professor Li’s team exploited an adaptive graphene gel film they had developed previously. They used liquid electrolytes – generally the conductor in traditional SCs – to control the spacing between graphene sheets on the sub-nanometre scale. In this way the liquid electrolyte played a dual role: maintaining the minute space between the graphene sheets and conducting electricity. Unlike in traditional ‘hard’ porous carbon, where space is wasted with unnecessarily large ‘pores’, density is maximized without compromising porosity in Professor Li’s electrode. To create their material, the research team used a method similar to that used in traditional paper making, meaning the process could be easily and cost-effectively scaled up for industrial use. “We have created a macroscopic graphene material that is a step beyond what has been achieved previously. It is almost at the stage of moving from the lab to commercial development,” Professor Li said. The work was supported by the Australian Research Council. 3 Comments on "New Engineering Strategy Makes Graphene-Based Supercapacitors Viable for Widespread Use"
Researchers have brought next generation energy storage closer with an engineering first — a graphene-based device that is compact, yet lasts as long as a conventional battery. One science advance that will make relinquishing the Mustangs, Corvettes et al for Electric cars easier for the die hard American car lover! The obvious question: When will they be available across the market? Exciting news which hopefully will not be lost in commercial wrangling.